Costco Hearing Aid Center offers both hearing tests and premium, state-of-the-art hearing aids to Costco members at exceptional prices. The approach taken in the advertising and marketing of Costco Hearing Aid Center communicates the quality, value and potential for an enhanced quality of life that can result from using Costco’s hearing aids. 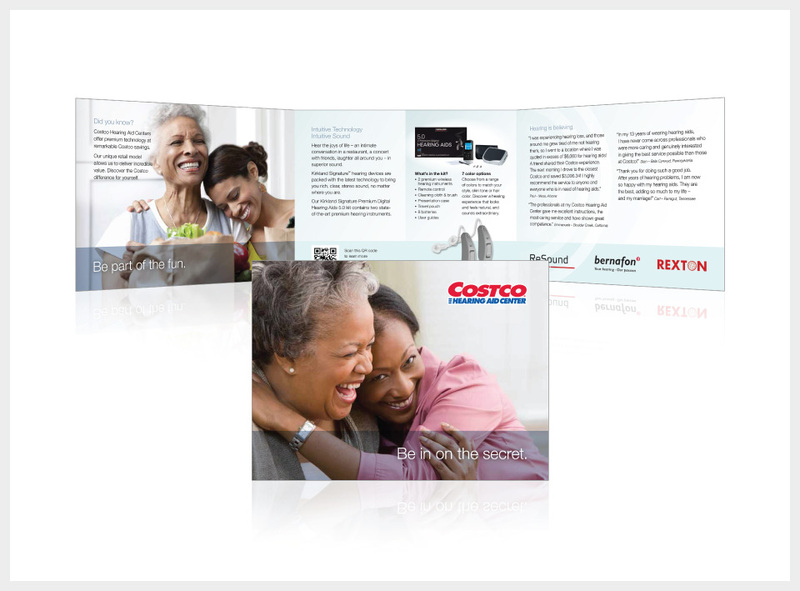 The following pieces show examples of work that was designed for Costco Hearing Aid Center. 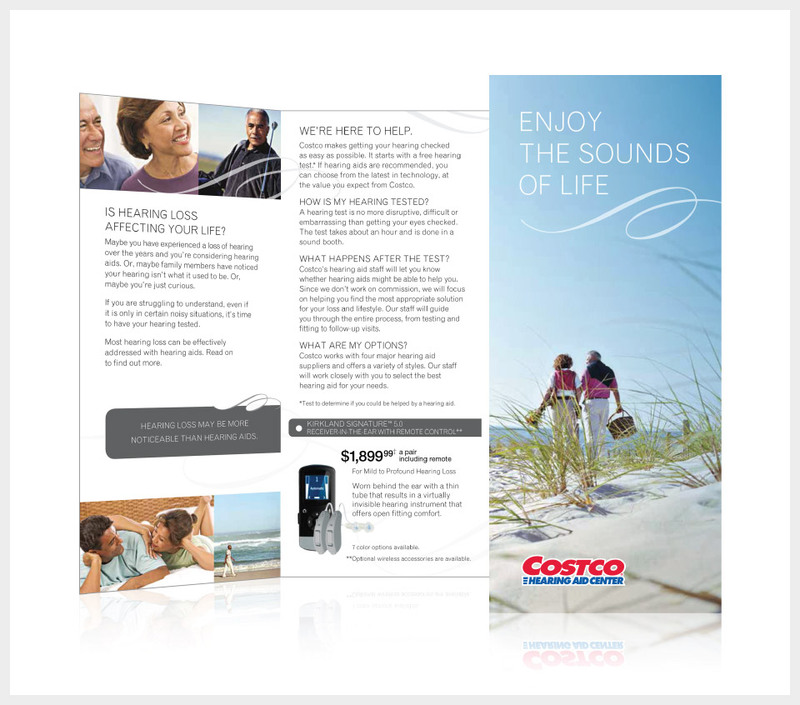 The design of this brochure features pictures of happy people to communicate the idea that improved hearing with Costco’s hearing aids can help to enhance life experiences. 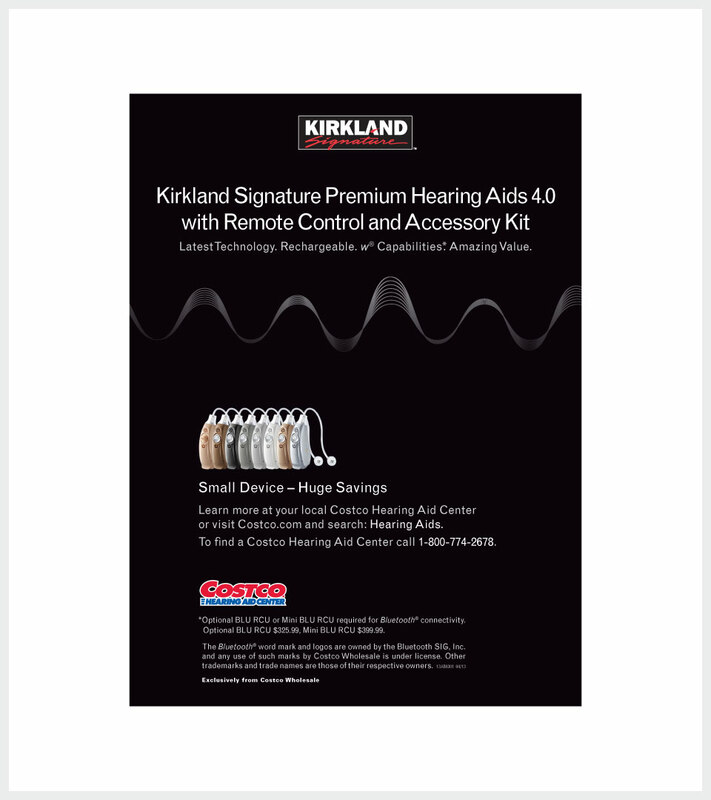 This brochure was designed to provide information to people considering the use of hearing aids and to explain the benefits of hearing aids available from Costco. This ad depicts a visualization of sound waves in order to show the advanced technology of Costco’s hearing aids.